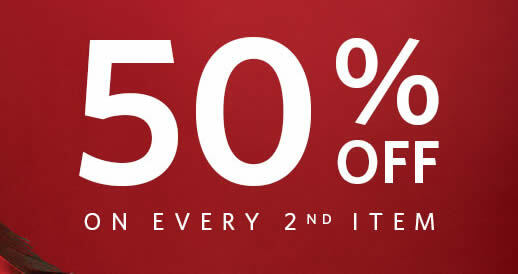 Enjoy 50% off every second piece – Womens, Mens, Kids and more – at Esprit’s online store www.esprit.com.my for a limited time. Discount will be automatically applied at the checkout after you have created and logged in to your Esprit Friends account. Membership is free (create a free account when you checkout). Conditions apply. FREE DELIVERY with a minimum order of RM250 or more. Orders under RM250 incur a delivery fee of RM25. Discount will be applied to every 2nd lower full-priced item.